In the name of the Emperor ‘Vaizer’ we hereby welcome you to the Demalion Empire, a realm like no other, bound in spirit through our undying adherence to the principles that form the base on which our society will structure itself. A mode of belief and practice that will see us emerge as a light amongst nations, kingdoms and empires, if we but resolve to stay true to the following four principles in all areas of our lives. What, you may ask, does it mean to practice these four principles and how are they expected to be used in your daily life? The simple answer is all of us have the traits in some form or another. When we travel to a new land or make a new acquaintance in the hope of bettering our family lives, we are showing courage. When we leave our young children with a neighbor in order to take produce to the market to sell, we are showing trust. When we stand by our friends when they gave their darkest hour, we are showing loyalty. And when we receive a wanderer looking for sanctuary, we take them in feed them and ensure their well prepared for their journey, we are showing generosity. A virtue taught by our elders. We would ask that you honor your Emperor with the same. Bequeath to him your trust, even when to do so means to risk your precious land and resources for the good of the Empire. Trust his emissaries, commanders and governors, knowing that they have been chosen to serve due to their honor and loyalty to Vaizer and the Empire and will not lie to you, overburden you or command you to commit treason. And third, give the Emperor your loyalty, knowing that he is bound by his oath to ensure the Demalion Empire thrives and that his subjects are kept safe, even though we may face dark times, as is the natural order of things dictated by the Wheel of Time. If we keep to our principles, and remain steadfast no matter what fate throws at us, explore our generosity together, we will emerge stronger once the Wheel has completed its cycle. How is the Empire Structured? While we will forge our own identity and create our own culture, we do not intend to go against the order of the game itself, creating a society that is at odds with the rest of Elyria. Instead, we believe that the principles of a feudal system are one that works best with our empire, with nobles and officials representing the crown and responsible for the safety of those in their care. In order for the empire to thrive, it is paramount that each noble and official display the four principles in all areas of their lives. Neglect of responsibilities is tantamount to treason and will be regarded as such. 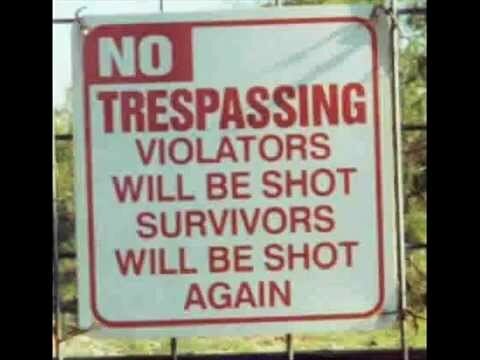 Over taxation, harsh punishments and other forms of corruption will also not be tolerated. Improvement of rank is possible and indeed encouraged, through the assignation of individuals to the Imperial Council. Those invited to the council will not be chosen due to rank or office, but because of their adherence to the principles of Courage, Trust, Loyalty and Generosity. All shall see that anyone with those principles and an acumen of the game will rise within the Demalion Empire, becoming an advisor to the Emperor Vaizer himself. Why Should you Join the Demalion Empire? The Demalion Empire welcomes any within its folds, providing he or she abides by he four principles. Whether you are a Duke, Count, Baron, a Gentleman, Artisan, scientist or a peasant, you will find a welcome in the empire. Our common goal is to build a healthy and happy community that enjoys playing Chronicles of Elyria together and has shared interests in strengthening our empire. If you want a strong community of players behind you, cheering you on and sharing your goals, then the Demalion Empire is the kingdom to join. باسم الإمبراطور * "فايزر" * نحن هنا نرحب بكم في إمبراطورية ديماليون، امبراطوريه ليس لها مثيل، مرتبطة بروح خالدة بالمبادئ التي تشكل القاعدة التي يرتكز عليها المجتمع الامبراطوري. المبادئ التي إذا طبقناها في حياتنا ستنيرنا و تميزنا بين الأمم. ربما تسأل كيف، هل يعني ذلك ممارسة هذه المبادئ الأربعة و استخدامها في حياتنا اليومية؟ الجواب البسيط هو أن كل واحد منا لديه الصفات بشكل أو بآخر. على سبيل المثال، عندما نسافر إلى أرض جديدة مجهولة على أمل تحسين حياتنا الأسرية، فإننا نظهر الشجاعة. عندما نترك أطفالنا الصغار مع جار من أجل البحث عن لقمة العيش، فنحن نظهر الثقة. عندما نقف إلى جانب أصدقائنا عندما يكونون في ورطة، فنحن نظهر الولاء. وعندما نلتقي بمحتاج يبحث عن ملاذ، و نأمن له المسكن والغذاء بشكل لائق، فنحن نظهر الكرم. هكذا علمونا شيوخنا. هذا ما يريده الأمبراطور فايزر. أثبت له الثقة، حتى لو ضحيت بمالك ونفسك له. ثق بسفرائه و قادتة وحكومته، مع العلم أنه تم اختيارهم بسبب وفائهم وولائهم لفايزر والإمبراطورية، لن نكذب عليك، ولن نحملك فوق طاقتك. إعطي الإمبراطور ولاءك ، لأنه ملزم على حماية رعاياة، على الرغم من أننا قد نواجه أوقات عصيبة و هذا أمر طبيعي في دائرة الحياة. ولكن إذا واصلنا في اتباع مبادئنا، وظللنا ثابتين مهما كانت الظروف التي نمر بها، عندها ستعرف كرم الأمبراطور، ونطهر للأم أننا أقوياء إذا اتحدنا و كنا يدا واحدة. في حين أننا سوف نصيغ هويتنا وثقافتنا الخاصة، بما لا يتعارض مع النظام في اللعبة نفسها، و نؤسس مجتمع على وفاق مع بقية المجتمعات باللعبة. نعتقد أن مبادئ النظام الإقطاعي هو الذي سيعمل بشكل أفضل في امبراطوريتنا، النبلاء الإقطاعيين هم الذين سيمثلون الحكومة في تطبيق جميع المبادئ الأربعة في جميع مجالات حياتهم و حماية الرعايا. والمسؤولية عن الازدهار والتنمية ، و أي إهمال في تطبيق المسؤوليات سيعتبر بمثابة الخيانة. و لن يتم التسامح بذلك، و بالنسبة للمتلاعبين بالضرائب و المفسدين سيعاقبون بصرامة . من الممكن لأي شخص أن يتطور ويرتفع ليكون عضو في المجلس الإمبراطوري. ولن يتم اختيار أعضاء المجلس بسبب الرتبة أو اللقب، بل بسبب تمسكهم بمبادئ الإمبراطورية الشجاعة والثقة والولاء والكرم. كل من يُلمس فيه الفطنة في اللعبة والتمسك بالمبادئ سوف يرتفع داخل الإمبراطورية، ليصبح مستشارا للإمبراطور. ترحب إمبراطورية ديماليون ترحيبا حارا بكل من يلتزم بالمبادئ الأربعة. سواء كنت دوق، كونت، بارون، ميور، حرفي، عالم أو فلاح،. هدفنا هو بناء مجتمع صحي وسعيد يستمتع بلعب إليريا، ويشارك في تعزيز امبراطوريتنا. إذا كنت ترغب في مجتمع قوي واللاعبين وراءك، يهتفون لك و يشاركك نفس أهدافك، فإمبراطورية دماليون ستكون أختيارك الأمثل. What, you ask, is the Demalion Empire? It is an Empire in preparation for the distribution of land selection soon to be announced. Though the land has not been chosen yet, the Order of the Phoenix, which is the official symbol of the Emperor’s family, has been very busy preparing for the day soon to come, in which we will choose the ideal land, tribe, religion and biome to suit our culture. Note that the Empire itself does not promise each of its citizens wide tracks of land, unlimited resources and a well in each backyard. We expect our citizens to display the courage and fortitude necessary to forge an empire and new society. What we do promise is our assistance to your endeavors in return for your courage, loyalty, trust and generosity. Those who decide to become part of the Demalion Empire will find that it is a lush culture, with the strength of will and the intellect needed to fill it with the best things in life that make society pleasant and kingdoms strong. From opulent houses with the finest furnishings and running water to planned cities that are not only well-defended but magnificent to look upon, to the infrastructure of the Empire itself, enabling easy travel by land or sea, all has been planned to ensure the Empire is strong from the moment of its emergence. With such care given to the most ordinary of details, it stands to reason that the citizens will prosper and thrive in such an environment. Thinkers, tinkers, philosophers, scientists and naval engineers will not have to worry for their next meal or their very lives, and will be free to make new discoveries that will make us the envy of Elyria. Artists, scribes and bards will also have the leisure and comfort needed to enrich our culture. Babies shall grow up free from common diseases and shall be cared for and educated, ensuring each successive generation of Demalions is better than the last. Rest assured, we shall choose a land that is most suitable for our Empire, no matter what the selections are. And no matter the religion, tribe or biome that is on offer, we will merge that with our culture and so forge our own Empire—one like no other. The world of Elyria has been shaped entirely by the actions of rulers in charge. And the Kingdoms they've carved up for themselves were raised up and framed through the course of lifetimes. All by the rulers our history has known - menn good and bad, sometimes neither but most often both. Similar to a building, these monarchs have constructed their domains, stone by stone, each of whom builds upon the works of those who preceded him. The tenures of these dynasties have been a subject of debate among most historians and learned menn, yet scarcely someone could deny that it takes a certain kind of mann to shape the course of history - for better or worse. One of such rulers, and one of the most well known ones, was Emperor Vaizer, the mann whose name became symbolic of the Demalion Empire. The biggest nation known to the world today, the Empire holds a key position of influence in Elyria. To understand its way of governance, one must first understand Vaizer, for his story of ascend was not without great trials. A story that dates back all the way to his youth, when he was the son of a rich and authoritative Lord in the Demalion Land. The Demalions had no kings but instead called themselves a freehold because all the citizenry who held land had a voice. The vast continent, stretching from the saltwater canal to the fabled Sapphire Sea, seems to be the place where civilization as we know it developed. The first of these was deeply rooted in Old Huroq: a city built upon slavery, where the slave traders formed their ruling aristocracy. The slaver lords there began generating substantial amounts of wealth, united under the Hazar, who was considered the lord of all lords. A legendary Hazar, Radrik the Red, remains so reviled throughout the Demalion lands that the common folk are still oft cursing the mention of his name. It was he who, according to the oldest histories of the Huroqi, founded the lockstep legions with their tall shield and three spears, which were the first to fight as disciplined bodies. Old Huroq and its armies proceeded to colonize the surroundings, then, pressing on, to subjugate the neighbors. Thus commenced the red ages, a period of anarchy and bloodshed in which Radrik earned himself his newly styled moniker, as he struggled to seize dominion over the peninsula. The small lords were helpless to his force, yet some of them would not stand idly by while their smallfolk were being slaughtered or sold into slavery. One of such was Godwin, father of Vaizer and the respected Lord of House Phoenix. He was a rebel who took up cause against the Hazar, and quickly joined other Nobles to his cause. Conspiring by candlelight, they've began plotting the downfall of Radrik the Red, all in hopes of ushering in a new era for the Demalion lands. Lord Godwins estate was a palace with gardens and waterworks that served as a private retreat for his family. There the lord had invited other Nobles to join him for a feast celebrating the birth of a new son to him. This, of course, served to him as an excuse to meet with likeminded people of influence and plot his rebellion against the slavers of Old Huroq. Among those attending were Godwinr's closest friends, the Lords of House Vyre, House Vinsmoke and House Eroth. The festivities remained late into the night, as the Lords were left alone in Godwin's audience chambers, and Vaizer, then a boy of eight, was sent along with the other children. They were to play together at the beach, pools and fountains, and in the water. 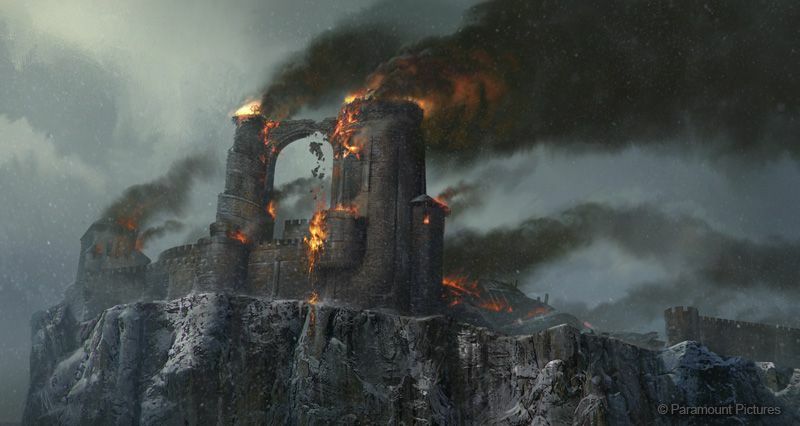 Yet during the night, a fire broke out in the palace and dark flames could be seen swirling through the skies. Someone had barred the doors of the lord's chambers and after that reports mention the agonizing scream echoing through the hallfways in which scorching flames were spreading. In an irony unlost to those recording these events, the spark of Godwin's Rebellion was hushed out as everything he had built went up in flames. The next day, only the heated rubble remained of the former estate, with the bodies of traitors spread across the bloodied terrace. Lords together with their families and heirs. How they came to die is a matter of much speculation. Though the singers would have us believe that Radrik himself infiltrated the estate with two score of his most deadly men. But perhaps even likelier is the suggestion that Jackar was betrayed from within his own ranks. Whatever the truth, it was the beginning of a dark reign under the Hazar and his slaver lords. The Demalions to this day have not forgotten the decade of terror that Radrik had visited upon the realm. But such dire times did not last forever.. for rarely something ever does. A new uprising was forming against the governance of the cruel Hazar. As he made the grave mistake of leaving one member of Godwin's family alive - Vaizer. The young lordling was saved by supporters of his father's cause. They hid him far from the reach of Radrik, and instilled in him a deep hatred for the Old Huroqi slavers, as well as a thirst for revenge. But most importantly, they've groomed him to finish where his father left off. And so one day he came out from hiding, a boy no more - but a man. And by his side were the children who once played by his house - Lord Ibrahim of House Vinsmoke , Lord Chevo of House Eroth and Lord Asteroth of House Vyre. United under Vaizer, they proclaimed war against the Hazar and people began rallying to their side from near and far. 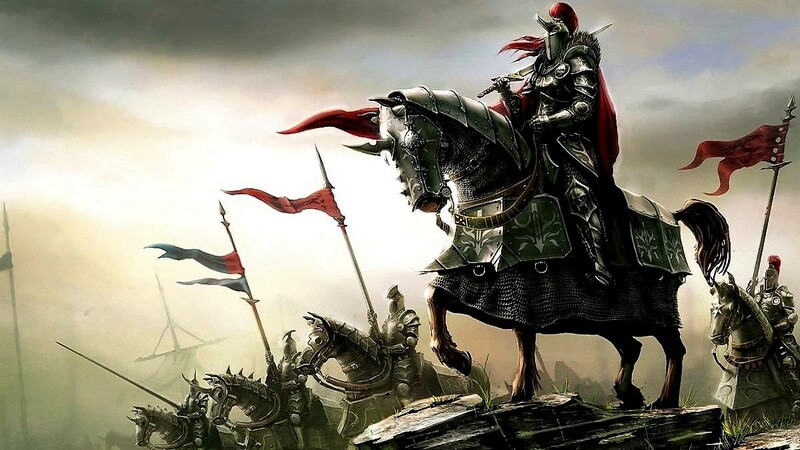 Vaizer proved himself a fearless, indomitable warrior as more and more men flocked to his banners. Soon, he became known throughout the land as Radrik's greatest enemy, and the Hazar was quick to respond to such a slight. Once he knew the location of the host Vaizer was marching, the Hazar went to meet him on the field. Yet as cruel and violent as he was, Radrik also possessed a certain amount of cunning. When Vaizer split up his troops to secure the areas formerly owned by him and his vassal houses, the slavers were quick to drive their larger army between them in hopes of catching Vaizer without the remainder of his supporters. The Hazar's men had been hunting him, trying to catch him before he could rejoin with his larger host led by Lord Asteroth. He was hiding out in a peasant village when the Huroqi armies took it over with a mighty force and started searching house by house. 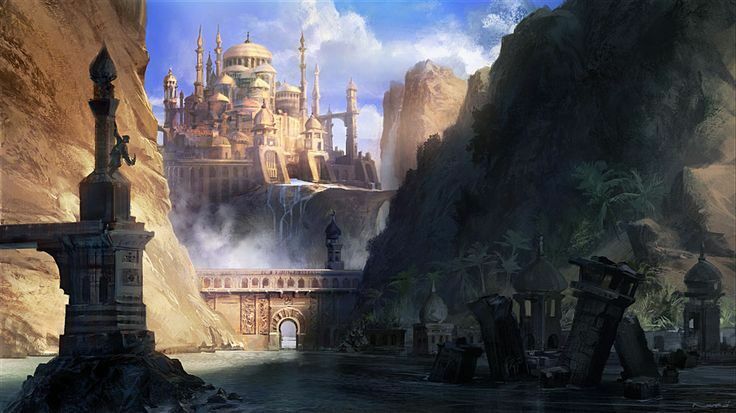 Before they could find him, though, Lord Asteroth and Ibrahim came down on the town and stormed the walls. But the Hazar fought back. They battled in the streets and alleys, even on the rooftops, and all of the rebel's generals were blowing their war horns. When Vaizer heard the sound of those horns, he was quick to come out of hiding and join his menn in a last stand. Reports claim he slew a number of the Hazar's menn, and that these events likely shifted the tides of the fighting, with Vaizer's troops emboldened by the sight of their leader fighting alongside them. That day he slew Idahr Kahlen, a famous Huroqi warrior who had been the Hazar's general. Some claim he would've slain Radrik himself, but the battle never brought them together. No matter, when the slavers saw that the day was lost, they began their retreat, being chased off by victorious cheers of Vaizer's troops. The Hornblower's Battle, they called it after. And Vaizer always claimed that his friends had won it, not him. Be that how it may, these events have split the Old Huroqi Empire in two and a war for the future of the entire realm came into being. As tales of the green boy who bested the mighty Hazar began to spread, Radrik became enraged with the thought of losing another battle. Yet all of this gave Vaizer a momentum he was more than inclined to take advantage of, as he went on, winning battle after battle. It was then, that something remarkable began happening. In every village, town and hamlet that Vaizer managed to conquer, he broke the chains of the slaves and told them to join home or walk away as free menn. This was meant to truly extirpate everything that the Huroqi had built. And as the former slavers cursed this decision, and ran to the Hazar for help, Radrik soon found himself helpless against the rebels as the size of Vaizer's host was growing by the day. And with each new break of dawn, the lands claimed by the Hazar became less and less. He ordered his soldiers to chop down every tree they could find, to build ladders, siege towers, battering rams. He was preparing to tear down the walls of Old Huroq and forever end the reign of Radrik the Red. He had forbidden any contact to be made with Vaizer, choosing instead to hire as many sellswords as his slaver lords could buy him, retreating behind the formidable defense of Old Huroq. He stripped his own land, leaving Vaizer with scorched fields and poisoned wells, and he left dead slaves scattered along the roads to show him what's awaiting him. A fortnight after that, Vaizer arrived along with his troops, and he asked for no parley. Instead, he ordered his vanguard to scale the walls at first light of day. The fighting was bitter and bloody for most of a day and well into the night. Vaizer sent rams, protected by great wooden turtles covered with horse hides, to batter the city gates, whilst his archers fired flights of flaming arrows over the walls and his infantry began storming them. At Nightfall he sent a diversion force of 200 menn to set fire to the hulks in the harbor, allowing Lord Ibrahim to enter the city with three score of his soldiers, where his was sent with the task of freeing all of the remaining slaves. There is not a flicker of doubt that this had forever sealed the fate of the battle, as Radrik, despite all of his might, had found himself overpowered. Old Huroq was sacked savagely after its fall. The ancient brick walls of Old Ghis, first erected hundreds of years ago, were razed. The colossal pyramids and temples and homes were given over to flames. And the fields were sown with salt and lime, to make sure nothing will ever grow there again. 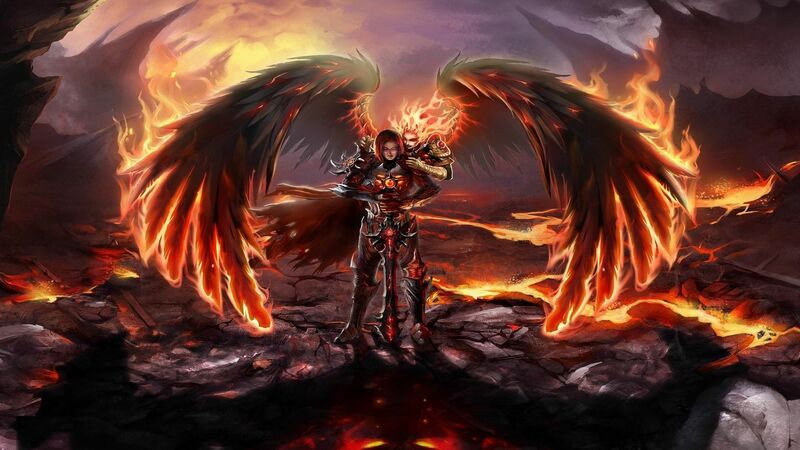 Radrik himself, was executed the next day, marking the end of an era for the Demalion lands and the true rise of a new ruler - Vaizer, the Phoenix. And with the Phoenix rose the largest Empire mann has known. Emperor Vaizer, the First of His Name, might have conquered the Demalion Peninsula by the age of twenty, but now he faced the formidable challenge of ruling his newly forged realm. The realm had rarely been at peace withing its own borders let alone without them, an uniting them under one rule required a truly remarkable man. So it was fortunate for the realm that Vaizer was such a man - a man with vision and determination aplenty. And though his vision of a united Empire proved harder to realize than Vaizer might have believed, not to mention far costlier, it was a vision that shaped the course of history for the years to come. The greatest challenge within his first years of taking up rule was no doubt the food shortage and poverty crisis that befell his realm. War always leaves its scars on a land, and the Demalion people have felt that all too well. But by far the biggest problem for the well being of Vaizer's new nation was the Old Kingdom - a ravaged land where many small Lords proclaimed themselves rightful rulers, fighting over it for years on end. It was what kept the peninsula cut off from all foreign trade, as the civil war had made it impossible for trade caravans to deliver goods, and the saltwater canal was overflown with war galleys. This was no doubt a source of great frustration for Vaizer, as he was quick to call on a meeting with the Lords of the Old Kingdom. His message to them was clear, "straighten your quarrels, or I'll do it for you." Instead of that, two of the most influential Lords of the Old Kingdom decided to treat with him. Lord Dramen Malley, along with Lord Ryon Carner, promised him supplies of food from their own farmsteads. Thousands of gold coins were paid for it, but short to no food was ever delivered to Vaizer. Instead, his scouts began hearing word of the Lords striking an alliance, using his gold to make weapons and win the civil war once and for all. Yet in their arrogance, they have greatly underestimated the boy they saw in Vaizer, for such a slight did not rest well with the newly styled Emperor. Hardened by war and the losses he's suffered, he felt backed into a corner by the self-entitled lords. But it is then that menn like him are most dangerous. It is when they have nothing to lose, and it is when they attack. The following days, the message sent to each corner of the old Kingdom was all the same, and it read for every Lord:“From this day forth there will be but one Empire, and your new Emperor is now called Vaizer. Swear fealty to him and you will be pardoned with allowance to remain hold of your lands and titles. Take up arms against him and you will be beaten, humbled and destroyed.” To that, no cheers could be heard from the Lords Vaizer was threatening. 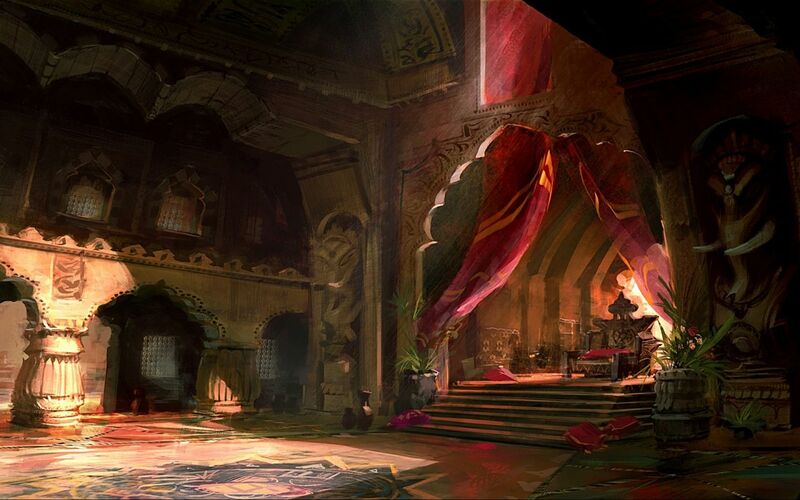 In Fort Clifton, the seat of House Carner, Lord Ryon and Dramen Malley had already called their banners, discussing what was to be done about the would-be conqueror. The whole realm waited anxiously to see where Vaizer would move next. And it was so, that within weeks of his coronation, Vaizer's armies were on the march again. The greater part of his host marched for the County of House Carner, under the command of Lord Asteroth. The Emperor himself marched northeast, taking every castle, holdfast and keep that would find himself on his way. He was looking to take the Malley lands and take the food that was initially promised to him, all in hopes of sending it back safely to his own people. The troops of the Old Kingdom were out to stop them, but they faced fierce opposition. Lord Asteroth, riding his host further south, surprised the advance elements of Malley and Carner along with their host, cutting up more than a thousand menn before fading back into the trees. One by own, one small Lord after the other began realizing Vaizer's might was too much to withstand and one by one their knees began to bend. Yet these but minor vexations compared to what befell Lord Malley. Though he has ruled the north of the Old Kingdom for generations, the people there had no love for him. Dramen Twice Dead, as he was oftenly called, had driven dozens of menn to their deaths in his struggle for power, plundering the Old Kingdom for materials and beggaring lords and smallfolk alike with his appetite for gold. 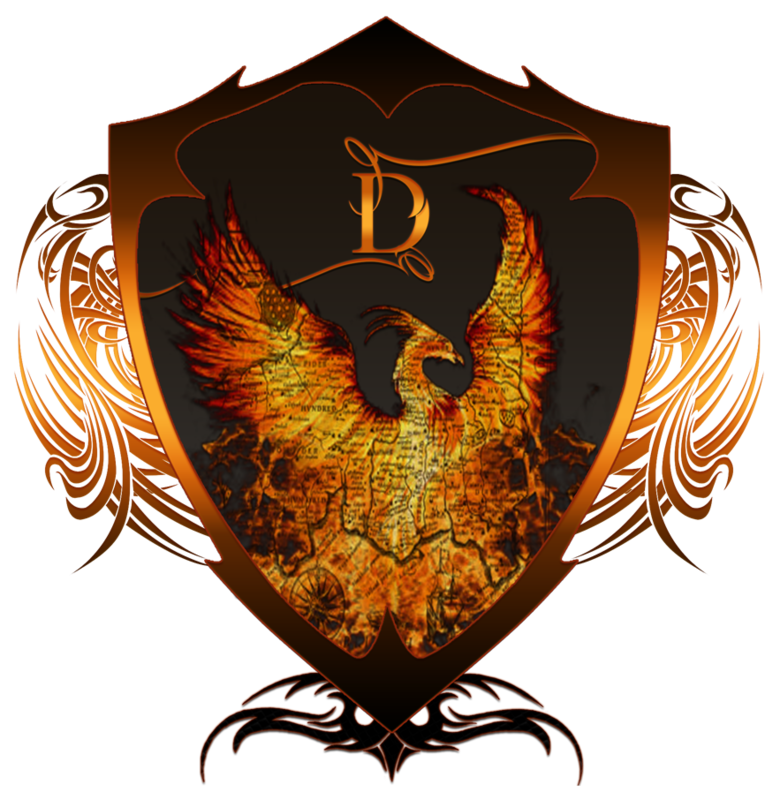 So now the tides rose against him, as most of his vassal Lords declared for Vaizer instead, raised the Phoenix banner over their castles, and rode forth with their knights and archers to join their strength to the Demalions. Suddenly outnumbered, Malley took the remainder of his host and joined up with Lord Carner to make his last stand on their own ground. And so the war ended on what would later be known as the Bloodstained Field. Some have written of the boldness of the menn who fought with the Malleys and Carners. But for all their valor in the field and their enmity against Vaizer, theirs was a lost cause. Malley and all his sons were brought down beneath the withering fall of arrows sent by Lord Chevo and her private guards. This followed by Vaizer's mad charge, with his greatsword in hand, as he attempted to rally his forces. The battle came to an end when Lord Ibrahim appeared with a host of his own lords, falling on the Carner's rear. Thousands of menn had died for Carner's vanity, and more were wounded and maimed. In the aftermath of it all, Vaizer showed a sternes that few expected. Many lords and knights who supported the Malleys and Carners had lands, seats and privileges stripped from them and were forced to give over hostages. Lord Carner, captured after the battle, was never heard of again. And it was so that Vaizer extended his rule across two Kingdoms, and united them under the banner of the Demalion Empire. Under trust, courage, loyalty and generosity. For having proven himself in two wars, he enjoyed great support and secured his rule by placing his own menn in positions of power. Most describe him as a mysterious mann that few people have spoken to, yet there is hardly any doubt that his great deeds will be remembered by every Demalion under his Empire. What's the future holds in store for the Phoenix is hard to foretell, but no doubt he will leave his mark imprinted on the pages of history. Welcome to the EU server! Welcome to the EU server :). Welcome to the EU community! Welcome to the EU server officially, may you have much joy playing with all of us! Feel free to ask us any questions, do not hesitate to contact us. Welcome to our DEMALION EMPIRE enjoy in our post , if you have any questions feel free to ask. Welcome to the EU Server! :) Always glad to see some fresh faces. Best wishes and good luck! Welcome to the EU Server! Glad to have you here with us.